Ya know how we say we only post on Mondays, Wednesdays and Fridays? That AIN’T working out to well!!! Here’s a Tuesday post. 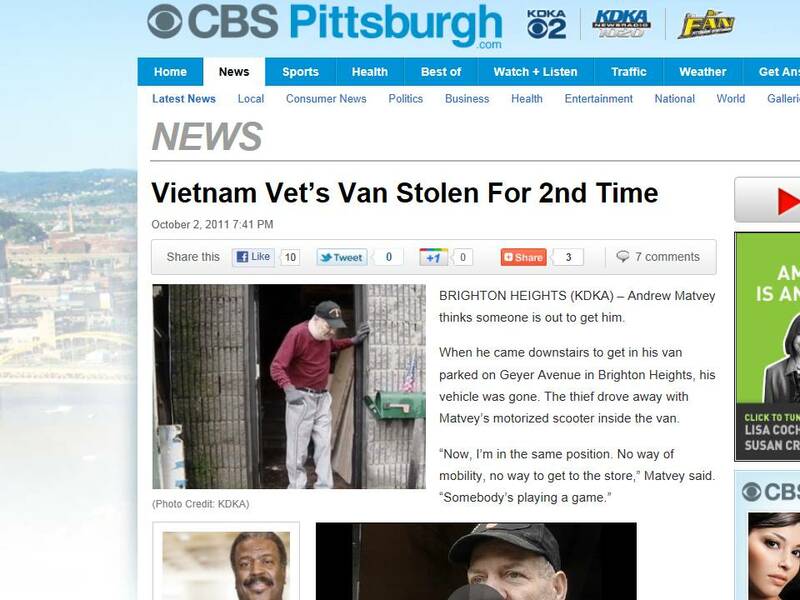 Click on THIS LINK if you don’t know the story but, basically, Andrew Matvey, a Viet Nam Veteran, had his van stolen along with the electric wheelchair inside of it. The van was soon recovered and someone donated a new motorized scooter. The other day, someone stole his van AGAIN and with his NEW electric wheelchair. REALLY? Whether your a pro-war or anti-war, you have to admit, this guy did his time and deserves much more respect than this. Until this, Andrew was taking care of himself and minding his own business. As a matter of fact, if you were someone that was desperate for a ride, he probably would have taken you vs. you stealing his van and wheelchair. Now it’s personal!!! So to whoever has been yankin’ Andrew by taking his stuff, get ready. Since you seem to like Andrew’s life style so much, when you’re caught, we’re gonna make sure you know what it was like to be Andrew in all aspects of his life. Then, we are going to suggest that you be fitted with a urinary catheter with about a 20-foot tube between it’s insertion point and the collection bag. We’ll tie the bag-end of the catheter to the front door handle of Andy’s house. You know where the other end if it goes. Then, since you like the motorized scooter so much, we’re going to put you in it and have it set to go zero-to-60 in about 1.5 seconds. Whenever, and however often Andy wishes, he will be able to hit a remote “GO” button. It’ll be cool, because you’ll actually get a chance to experience what it’s like to be chasing after someone who steals your stuff while you’re on a handicap scooter. And since you seem to be into “Yankin” people, it should feel pretty invigorating once that catheter tube reaches it’s max length and snaps back…… oooooo yeaahhh, THAT’s gonna be when you’ll feel SORRY, Ya Jagoffs! 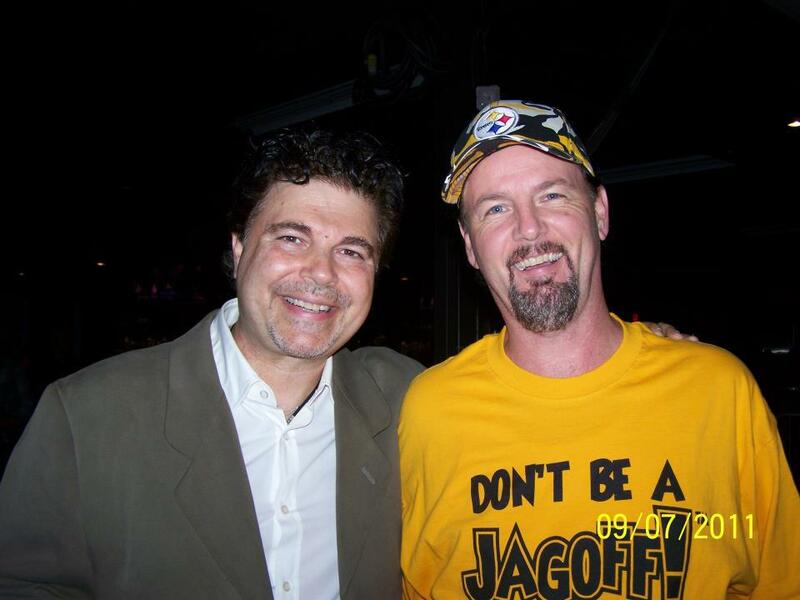 Remember, it’s Breast Cancer Awareness Month and our “Don’t Be A Jagoff” t-shirts are sold to raise money for Breast Cancer Research. Click the t-shirt pic to order. Previous articleBreast Cancer Awareness Month – AND A Charlotte Parking Jagoff! Next articleAm I Looking At My Dashboard On My Laptop or My Laptop On My Dashboard?